PARADES disputes in Northern Ireland have often sparked violence, but a new map illustrates the recent success in defusing those tensions. The collapse of the Stormont government in January and subsequent high profile negotiations have overshadowed what was widely regarded as the most peaceful marching season in recent history. Today The Detail publishes a new interactive map examining the 3,368 parades that took place during the annual marching season, between April and August. 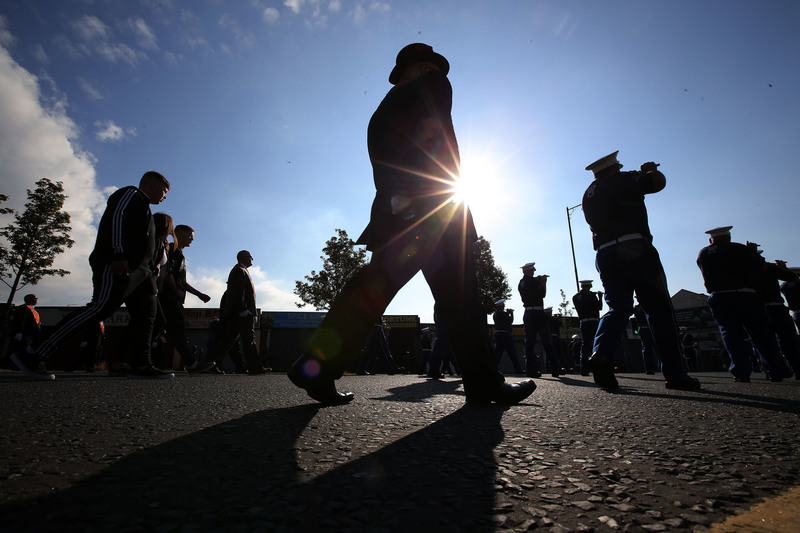 145 parades, less than 5%, were considered sensitive by the Parades Commission. 131 parades, less than 4%, had restrictions placed on them. Five parades, less than 0.15%, attracted official protests. Despite the common perception that parades disputes represent a contest between nationalist protestors and unionist marchers, the data shows that of the five parades which attracted official protests, two were categorised as Catholic/Nationalist/Republican (CNR) parades, two were listed as being from the Protestant/Unionist/Loyalist (PUL) community, and the other was Belfast’s Gay Pride parade. The Parades Commission, appointed by the government in 1997 to manage public processions, told The Detail: "The parading environment in Northern Ireland during 2017 was increasingly stable and trends during the year have been largely positive. "The obvious indicators were the lack of public disorder at parades and the low level of parade related protests. "These largely related to interface areas in Belfast, and a number of rural towns with longstanding unresolved disputes." There were only six protests registered with the commission, which were organised in opposition to five parades. In response to the fact that this represented less than one percent of the total number of parades in the 2017 marching season, the commission said: "The trend for a significantly reduced number of protests reflects, amongst other factors, managed expectations amongst organisers, communities and others about how parading events will proceed. "During the period in question there were six parade-related protests which corresponds to a more stable parading environment." The figures show that out of the 145 parades considered to be sensitive, 62 began their outward routes in Belfast, 26 started in Portadown, Co Armagh, nine started in Castlederg, Co Tyrone, and seven began in Rasharkin, Co Antrim. These made up over 71% of the sensitive parades during this marching season. The Parades Commission was established after disputed marches became the focus of large scale rioting and multiple murders in the summers of the 1990s, when the Garvaghy Road in Portadown and the lower Ormeau area of Belfast became major flashpoints. The scale of violence across Northern Ireland is indicated by the fact that in a single week in July 1996, the then Royal Ulster Constabulary fired 6,002 plastic bullets. Scene from the major Drumcree stand-off of the 1990s. By Press Eye. The commission replaced the police as the decision-making body for parades and it sought to encourage local dialogue between communities. 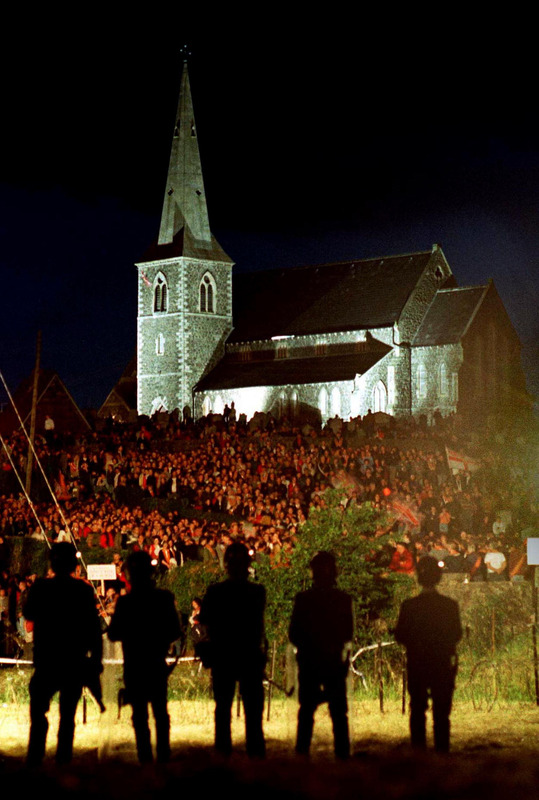 A former politician who was prominent at the height of the Portadown dispute, the SDLP’s Bríd Rodgers, recalled scenes of barbed wire and military cordons dividing the Orange Order’s supporters at Drumcree church and the Catholic Garvaghy Road. "It was really very bad and feelings were running very high," she said. "I think, the reason things have changed, is that a lot of people on both sides came to the conclusion that common sense was required. "People sat down and discussed it." Negotiations have brokered agreements over parading in longstanding disputes, such as in the Ardoyne area of north Belfast. Mrs Rodgers said the success in resolving difficulties with parading to date could show accommodation is possible at Stormont, where political leaders are curently deadlocked over issues including the Irish language, marriage equality and dealing with the legacy of the Troubles. "I think what is required actually at the moment is courageous leadership on both sides, with an emphasis on 'leadership' and 'courageous'. That did happen in the run up to the Good Friday Agreement, it did happen, I presume, in the settlement of the Ardoyne dispute and that’s what needs to happen now, courageous leadership, and I emphasise both of those words." Mrs Rodgers, who is a fluent Irish speaker, also said: "I think a deal can be done, if the will is there. I don’t think that redlines are helpful on either side. Obviously there are two redlines, one would say, ‘no way an Irish Language Act’ and the other would say, 'there must be'. "If you look back at the Good Friday Agreement, there were many, many more difficult issues to be resolved there and they were resolved. So I think, with the right will on every side, it can be done." 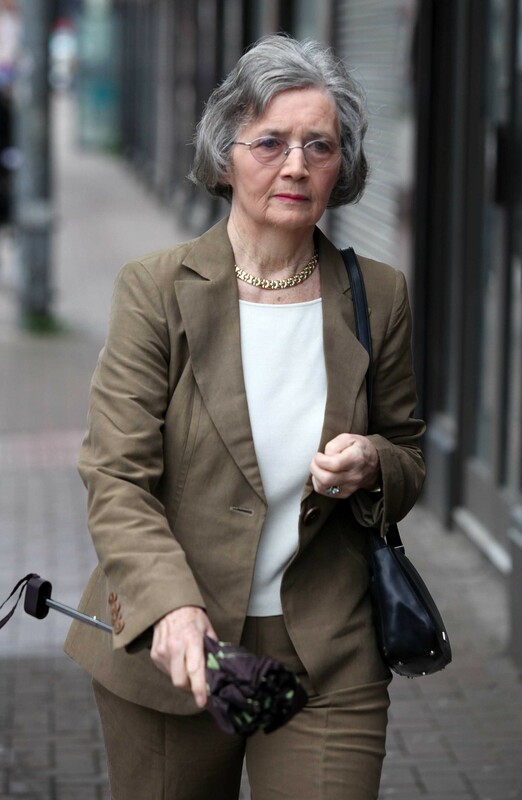 Former leading SDLP politician Bríd Rodgers. On parading, she added: "I think that the Parades Commission has done a very good job. It has made decisions that, at times, have not pleased everyone. "What has happened this year is to be commended because I think it’s the result of dialogue between different factions and a dialogue that was encouraged by the Parades Commission." 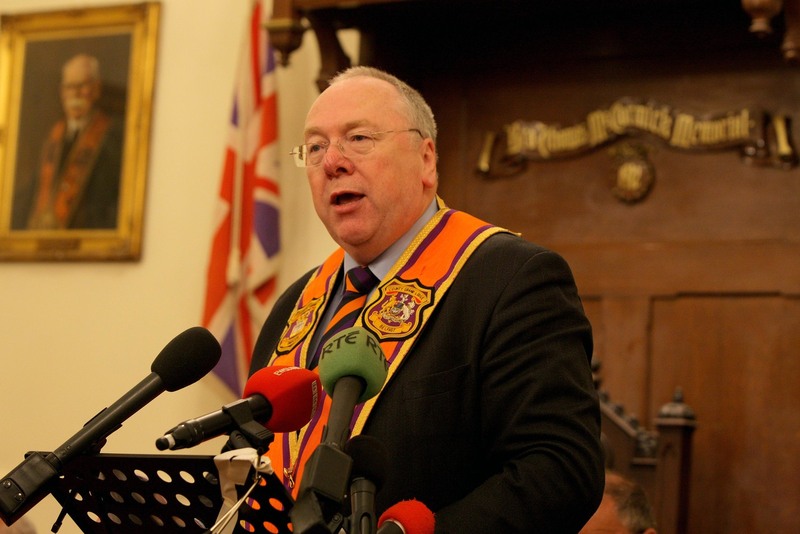 Expressing a different take on the data, the Grand Secretary of the Orange Order, Reverend Mervyn Gibson said: "It is true that there was less tension on the streets this year than in previous years and it was definitely a better 12th July all around. "What the figures that The Detail has gathered don’t necessarily reflect, however, is the reality of the mood on the ground. "What the statistics actually reveal is the position of the Parades Commission. "They don’t show that the legislation in place to deal with parading in Northern Ireland is inherently flawed. "There aren’t problems with parades, the problems lie with people getting offended by parades. "The reason we are seeing a relatively small number of protests is because the Parades Commission is doing the protestors’ job for them." The Detail has previously published a series of special reports analysing data on parading, including the finding here that the period 2005-15 saw more than 26,300 parades from within the broad unionist community, with 92% of those going ahead without restriction. The 3,368 parades from April to August this year, which we have mapped in this new examination of the issue, account for the vast majority of the entire annual total of marches in 2017. The fresh data points to the improvements to date in the handling of the parades issue. The Police Service of Northern Ireland said that July 12, which is the height of the marching season, was: "widely described as the most peaceful Twelfth of July for some years and a model for years to come." By clicking on the individual pins on the intercative map above, readers can access a wide range of information on each of these parades. The text includes details such as the name of the group organising the parade, the number of its participants and supporters, and if it faced a protest. An analysis of the statistics for 2017 reveals that while marches from the PUL community represent the bulk of parades and that a comparatively small number are linked to the CNR community, a significant proportion of processions also fall into neither of these categories. Over 32% of all the 3,368 processions were classified as neither PUL nor CNR by the Parades Commission. These included things like charitable events and vintage car rallies. 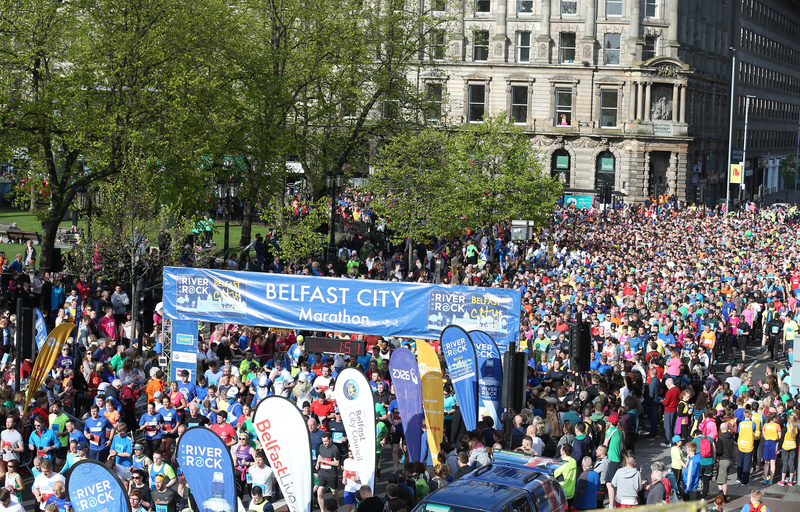 For example, the procession with the highest overall recorded number of participants was the Belfast Marathon, with 18,000 individuals. Belfast marathon, 2017. By Press Eye. However, some of the events that came under the title of ‘other’ could still be predominantly drawn from one or other of the two main communities, for example, church events or processions organised by sporting bodies. Despite the fact that the legislation requires all organisers of public processions to notify the Parades Commission, attention remains focused on PUL and CNR parades. Over 65% of the parades we looked at were PUL processions, while less than 3% were categorised as CNR parades. As a result, during the five month window we analysed, there were over 25 times more PUL parades than CNR marches. This reflects the importance that the parading tradition holds within the unionist community and the more peripheral role it plays within nationalism. Out of the 145 sensitive parades this year, 136 were PUL parades, seven were CNR parades and two came under neither of these descriptions. When looking at the map, it is clear that six of the processions began in the Republic of Ireland. As these events crossed the border into Northern Ireland, however, the Parades Commission was required to be notified of their taking place. Two began in Co Louth, one started in Co Cavan, another started in Co Monaghan and two began in Co Donegal, though none of the events were categorised as CNR or PUL parades. Mervyn Gibson of the Orange Order. The Parades Commission noted the importance of dialogue in negotiating deals in areas like Ardoyne in north Belfast this year. But, it said that there is always a risk that high level political tensions can fuel frictions at street level, which become expressed via parades. It stated: "Significant progress in north Belfast was achieved through dialogue between the Orange Order and the local residents’ group CARA. "The subsequent agreement introduced an important innovation for Belfast parading, with the establishment of a cross-community forum. The commission recognises that resolution of contentious parades can only be achieved through local engagement and agreement." The commission added: "Fluctuations in community relationships may impact upon parades. "There is a sustained effort in some areas to maintain communications between organisers and interested parties, including at times political or local community representatives. This effort fell away during the flag protests but has recovered in the last couple of years." The commission also stated that 2017 saw: "almost full compliance by parade organisers with the legal requirement to notify parades," that there was also a: "high level of compliance with commission conditions" and that, critically: "the responsible actions, of organisers from the outset, are the major factors impacting parading tensions." Whatever the future holds for the management of parades, the Orange Order’s Mervyn Gibson was certain of one thing: "The traditions and the culture remain as prevalent as ever. I see no major shifting of trends in this regard."